I love this post. All of it is so true, too. I tried to link over last night from the post I rec’d by email but my comp was wonking out ( I really hope it’s not on its last legs…I have everything on here) so I was happy to see you at the HHM hop today as a reminder to click here. Great post…..I appreciate your vsist to my blog too! But if one does not come back, I’m not sure if she reads the follow up comments….I gues there;s a way to set that up. YES yes yes, do make a DW cake for your dd’s bday. In fact there aretons of other fun ideas out there on Pinterest too…we are doing a dalek cake, as I mnetioned, for my son’s…and I think the way we have it planned out, it should “work.” Otherwise, we;ll wind up with a mountain of cake and frosting slop……which is what we had for a TARDIS cake once when my kids insisted on stacking 7 8×8 pyrex baking pans of cake covered in blue icing for a TARDIC cake….I’ve seen vertical TARDIS cakes, but have not been able to make them! Be well and Have alovely day! I’m in two minds (again!) about this. As a child I was highly, highly motivated by grades. At school we were always taught exams were something to really look forward to and a chance to show off! Well, I couldn’t resist a fully endorsed and acceptable chance to show off could I? I ended up with 13 GCSEs. I’m sure I wouldn’t have bothered to take any had it not been for the competition I had going on with myself! T is the same, exactly. So I grade his work for all I’m worth, fully understanding his motivation. The girls are another matter. They could be destroyed by a bad grade so I choose not to grade them and just keep an eye on what they understand or not, as the case maybe. I guess I’m saying (in a typically long winded Claire fashion) is that it probably depends on the child. I’ll stop now. I’m back! I was just contemplating what I said and actually I only grade maths, nothing else. I think that is because maths is only ever right or wrong in terms of the final answer and T likes to try to better his last score. I wouldn’t dream of marking writing or history. Aha! Yes, I know what you mean about the challenge of improving one’s score. There’s a huge intrinsic reward in achieving mastery of something we’re interested in. I love climbing up the Duolingo scoreboard for German! Claire, I’m so glad you brought this up. I’m also in two minds about the value of competition. Like you, at school I thrived on it and did well academically. However… one of my biggest reasons for home-educating is that the exam-success conveyorbelt led me to a very (high-paying yet) unfulfilling job. I alluded to this in point (1) of the post. In my experience, ending up in the wrong career is a real danger if we get into the habit of doing things for the extrinsic reward rather than the intrinsic enjoyment. I love the way you wrote this. Great points. When I was a student I definitely chose the easy way over challenging learning. After all, if I got a good mark, I was praised and if I tried something challenging and didn’t do well I had to do it over……. more work. Thanks Julie. Yes I remember choosing the safe option a few times, too! I always love your posts, so helpful! I totally agree with all your points in this post, Lucinda. I’d like Tiger to love learning for its own sake rather than to chase after any extrinsic reward. Besides, grades are somewhat arbitrary anyway and may not be a true assessment of what a child knows. Moreoever, for a naturally competitive child like Tiger, encouraging him to be even more competitive is probably going to do more harm than good to his overall well being in the long run. Hence, we don’t do grades either. 🙂 We just try to do our best each time. LOL. I share your sentiments about “I just need to hold my nerve over the next eight years or so”! I get pricked by the same doubts of whether I should be pushing Tiger more everytime we go to chess club, which is populated by very competitive private school children and their very driven parents. 🙂 It’s a weekly test of my nerves and resolve, going to that chess club. 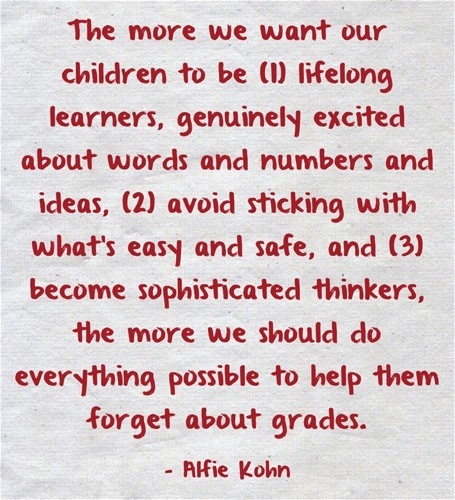 I do not and have never really been into grades with my kids but they continually asked for them. I explained that they don’t really mean anything but they really like me to give them a grade. I made an agreement that I’d only grade their math-u-see tests and that seemed to make them happy. I haven’t done it in recent times and they haven’t commented on it so hopefully they are over that period. I have noticed they do have a competition thing going on with themselves whether they are graded or not. They LOVE to get everything right. Sometimes I wonder if it’s because we homeschool that they are so competitive at other events, ie out to prove that homeschoolers are just as smart as regularly schooled kids. They have come across the occasional bit of discrimination amongst their peers at events, as though they spend their days watching TV, etc. Gracious knows what these kids think we do all day. Thankfully both kids are bright and well-mannered so it generally shuts the kids and their parents up! Hi Lisa! I’m glad you stopped by, you reminded me to visit your blog which really brightened my day! A few years ago my kids often used to ask me to judge which was the “best” out of various things they’d created. Like I could possibly compare two different paintings! They got frustrated for a while with my refusal, but now it wouldn’t occur to them to ask. I’ve not really graded my kids, except in math. Then it’s more of you missed these problems go back and fix them. I’ve used rubrics for some reports so they know what I want them to do, but they also don’t particularly enjoy reports or writing, so I need some kind of standard for them to know what’s expected. One day I will be organised enough to create rubrics! 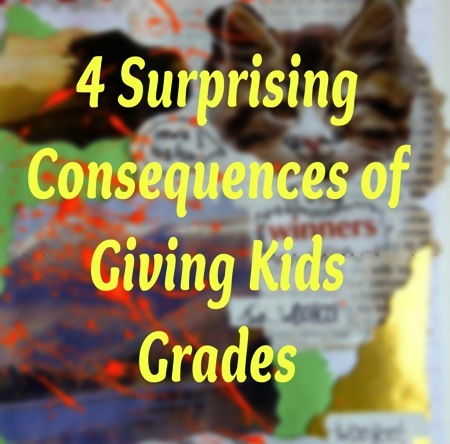 My younger kids have no idea what grades are. Of course, the older ones discovered them once they started university. Imogen now has one eye on the grade and one on the joy of learning. She needs to get a certain grade to pass each unit so grades are important. I prefer the system at the university my husband attended when he did his Masters. There are no grades. The students have to ‘master’ a topic. If they fail to do this first time round, they have to ‘improve’ their work. If they are still having trouble, they are given an extra task to help them work on their skills. No one fails. This is certainly a topic and a post that has attracted a lot of discussion! Andy’s Masters university system sounds fantastic! Was that a Masters by research? I was just asking my husband about his Masters; apparently his was half-and-half Masters by Research/Masters by teaching so there were exams. Yes, this seems to be a hot topic! 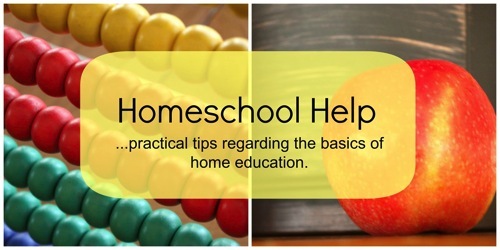 I probably wouldn’t have chosen to write about it if it weren’t on the Homeschool Help schedule, but as often happens with Homeschool Help, I’ve enjoyed it. It’s nice to be pushed slightly outside one’s comfort zone sometimes! Homeschooled students in Australia aren’t eligible to take the school leavers’ exam and get the resulting certificate, the Higher School Certificate. In a way this is good because we aren’t tempted to push our children towards the HSC syllabus with the intention of them getting good grades. My older children have all done several university units instead of the HSC. This gives them some results which can be used if they want to apply to a university. In my opinion this is a more effective, less stressful and quicker way of getting some kind of grade to prove they are capable of working at a tertiary level. Andy didn’t have to do any research for his Masters of Teaching, but there was a practical component. I guess if he hadn’t been able to achieve ‘mastery’ in all his units he would have had to retake them and try again. He actually did very well and finished up as a Dean’s medallist which was exciting. He was a mature age student going back to uni after many. many years working in a completely different industry. When we heard Andy had won a medal, we didn’t believe it. We went to the awards ceremony fully expecting to be told a mistake had been made. Andy didn’t even know there was such a thing as a Deans medal until he won one. I suppose he did so well because he loves learning. It certainly wasn’t because he was trying to get a high grade! I was very interested when I first read on your blog about how homeschoolers aren’t eligible to take the Australian HSC. (I know about the Aussie school system from my days long ago watching Home & Away!) I enjoyed your post about what Imogen did instead. It’s great that you have made a positive out of something which could be seen as rather unfair. I also enjoyed your post about the maths test. I recently found a website containing all the UK SATS papers (the tests UK schoolchildren take). The children and I occasionally sit down and go through a maths one for fun. We do it “buddy style” on the sofa together. It’s another way for me to see what most interests them, what kind of puzzles they like best, etc. I suppose it does also identify “gaps” but they’re usually fun to fill, another day! Yes it’s lovely to chat – thank you for coming back! It’s funny how some children are “naturally” competitive, isn’t it? 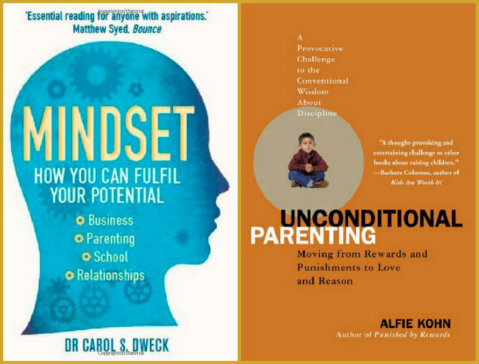 I’d love for my children to strive only for mastery for their own benefit, but mine too like to be the best!